Provo • BYU ran roughly 70 plays in its 80-minute scrimmage on Saturday to wrap up its five-week spring football camp at waterlogged LaVell Edwards Stadium. Collectively, only three penalties were committed in the rain and there were no turnovers, remarkable considering the conditions. It was a far cry from the 2017 spring scrimmage when interceptions, fumbles and yellow flags ruled the day. 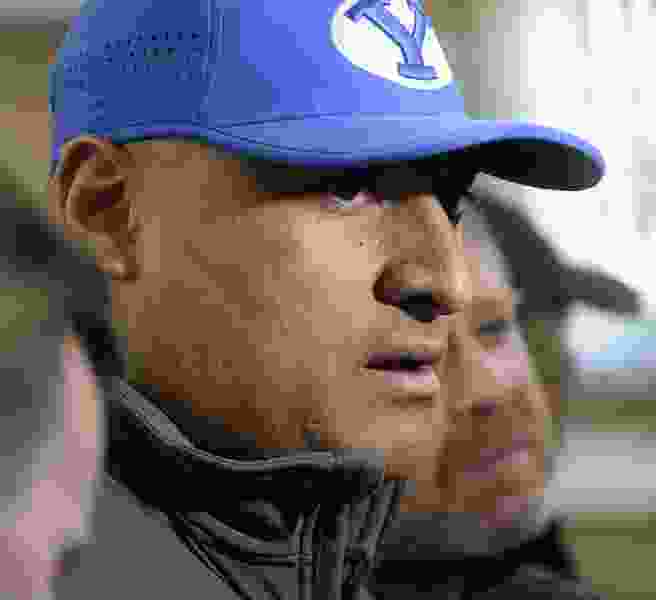 Coaches opened the camp back on March 5 preaching the need for more accountability and discipline in the program after last year’s miserable 4-9 season, saying they needed to re-establish a culture of commitment, effort and dedication that seemed to be lacking in head coach Kalani Sitake’s second year. The end of 15 spring practices would mark a checkpoint for the program, assistant head coach Ed Lamb said in late February. So how are the Cougars doing? After catching four passes for 73 yards and a touchdown, receiver Micah Simon concurred. The junior who has been called the “alpha” of the receiving corps by assistant coach Fesi Sitake said there is a different mindset in Provo. Simon, sophomore quarterback Joe Critchlow and senior running back Squally Canada were the stars of the day, and Critchlow attributed the success to effort and execution after directing three of the five scoring drives. Although mildly disappointed in the play of the defense Saturday, Kalani Sitake said the program made strides in the offseason and spring practices after an intense meeting days after the 2017 season ended with a win at Hawaii when players and coaches alike committed to turning the program around. That said, Sitake acknowledged there are still plenty of concerns, on and off the field. BYU demands a lot of its student-athletes, he said, referencing the strict academic standards, honor code and other factors that make the school unique. On the field, the scrimmage showed some shortcomings defensively, especially the front seven. Granted, some projected starters didn’t play, but the unit was noticeably pushed around all day and had trouble stopping the run and containing mobile quarterbacks Beau Hoge and Zach Wilson. June 22 • Football media day. Aug. 3 • Preseason camp begins. Sept. 1 • Season opener at Arizona.